TAMPA, Fla. – On the heels of a 2018 campaign that witnessed record-breaking attendance figures, increased exposure both nationally and internationally, and a transformative rebrand this past September, the United Soccer League is gearing up for a 2019 season that should be the league’s biggest yet. And to meet the demands associated with the league’s continued growth, the USL Communications team recently announced that it has expanded and restructured itself in order to better serve fans, media and its clubs. Ryan Madden (@Ry_Madden), the league’s Vice President of Communications and Public Relations will lead a six-person communications staff across all three divisions, starting with the Championship as it enters its ninth season, USL League One which will kick off its inaugural season in 2019, and USL League Two, the leading pre-professional league in North America. In addition to overseeing departmental strategy, Madden, who arrived at the organization in July, will also serve as an organizational spokesperson, while directly managing executive and corporate communications functions. Assisting Madden is Associate Director of Communications, Nicholas Murray (@NJEMurray), a veteran of the organization’s communications team since arriving in 2010. Well-known throughout the North American soccer community and having served in a myriad of roles for the organization throughout his tenure, Murray will now focus on leading the department’s editorial efforts for USLSoccer.com. In addition to overseeing the organization’s written-storytelling, Murray will also serve as the league’s historian, while running point on all statistical inquiries. Bolstering the league’s editorial staff is USL National Writer John Arlia (@johnarlia), whose resume includes stints at Sporting News Canada, where he provided live coverage of both the National Hockey League and the 2018 Winter Olympics. 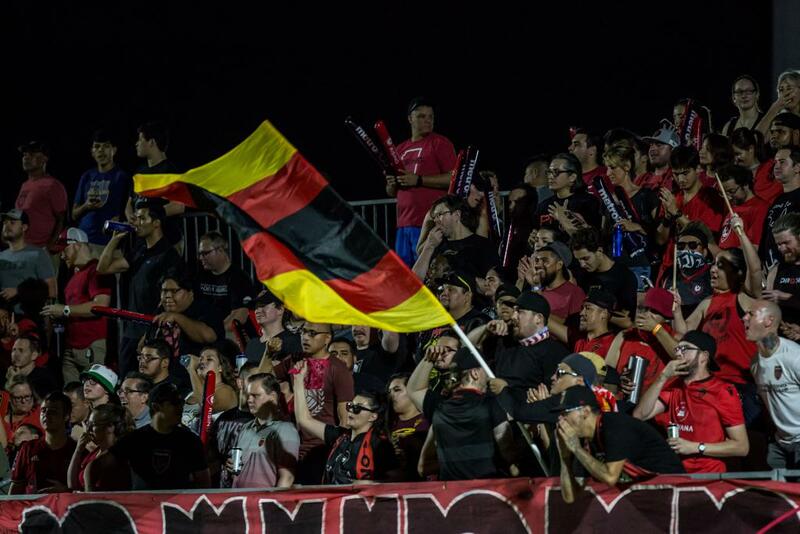 A graduate of the Cronkite School of Journalism, Arlia brings with him a great deal of league familiarity, having served as a beat writer for USL Championship side Phoenix Rising FC during his time in Arizona. Originally from New York, New York, Arlia will be an essential read for fans of the league throughout 2019. You can follow his weekend opinion column here. While Murray and Arlia will oversee the department’s internal storytelling, USL is also very pleased to welcome two new additions to the Communications and Public Relations staff. Joining the communications team for the new season is Scott Stewart (@ImScottStewart), who comes to Tampa after serving for Director of Communications and Broadcast for two-time USL Cup champion Louisville City FC. In his new role as Sr. Manager of Communications, Stewart will serve as the principal liaison for all Championship clubs throughout the season and brings with him a wealth of league experience following his stop in Louisville, as well as at fellow USL Championship side Indy Eleven. Also new to the USL’s communications team for 2019 is Sarah Cardamone (@Cardamoney), who will guide the communications and public relations efforts for USL League One in its inaugural 2019 season. Formerly the Director of Marketing & Public Relations at the USL Championship’s Charleston Battery, Cardamone was also a standout collegiate player for the College of Charleston, where she made 82 appearances for the Cougars over a stellar four-year playing career. Remaining at the helm as the Communications Manager for USL League Two, Matt Reed (@MattReedFutbol) will lead coverage of the top pre-professional league in North America, with the 83-team league again set to feature some of the top professional prospects in the United States and Canada. A former writer and editor for NBC Sports Soccer, Reed will lead both the coverage and communications efforts for the organization as the league’s clubs compete for a championship, and top players make their push toward the next level when the season kicks off in May.